They grow up so fast, don't they? Seriously. Not kidding. Just look at this incredible series of photos from proud pet owner Ashley Lewis, showing what time and love does to a dog. 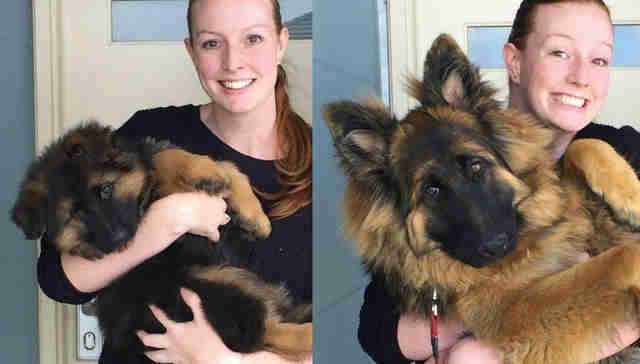 In only 6 months, her lil' 8-week-old German shepherd blossomed from a wee puppy who could easily fit her arms to a hulking big puppy who probably has trouble fitting on the couch. And the once-little is probably still not done growing. "She's a big puppy but doesn't know it," Lewis told The Dodo. 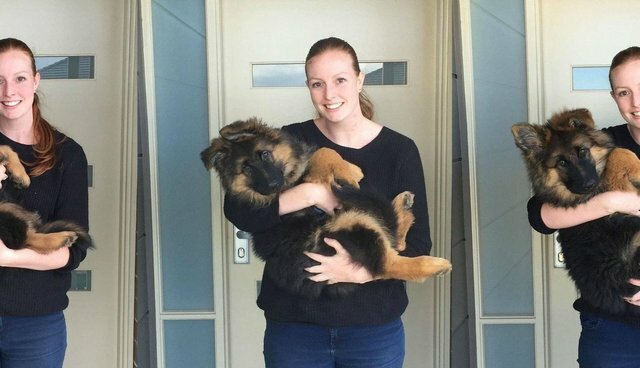 "She still loves to be picked up for a cuddle and squeeze onto the couch with us as well. To be honest, we didn't really notice her growing as quickly as everyone else did since we see her everyday, not until we looked back through photos anyway!" 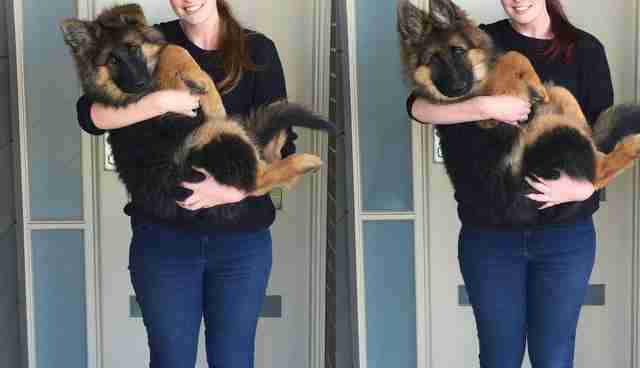 While it may be impossible to prevent a little puppy from ballooning into a full-sized adult eventually, the caring heart of a loving pet owner will invariably get bigger too to accommodate their joyful presence. After all, they'll always be our furry babies.